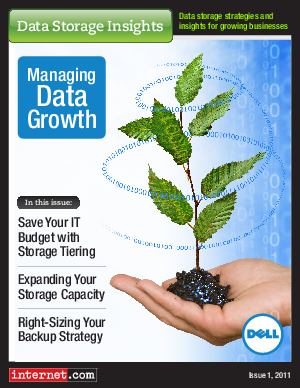 Growing businesses, in particular, can struggle to deal with today’s storage demands. When they start out as a small business, a central file server, an external hard drive and an online backup service can be enough to get employees the files and data they need and protect them from disaster. But as the number of employees grows and the demands in terms of data storage capacity, backup, archiving and regulatory compliance take hold, those solutions are quickly overwhelmed. A thorough evaluation of the current backup strategy will help businesses understand if the strategy needs to be updated because of new requirements, more data or business growth. There are a number of options available for IT administrators that need to right-size their backup strategy, and each options carries with it some advantages and disadvantages.